Long-term stress can lead to mental and bodily dysfunctions and diseases. Stress also appears as a companion that worsens the course of existing diseases. Although the evolutionary perspective on stress offers a compelling framework for the increasing occurrence of stress-related disorders in modern societies, the underlying biological mechanisms are not completely understood. In this chapter, we describe the physiological response to stressors (allostasis) and how stress may cause harm to the body (allostatic load). We follow the explanatory track from epigenetic influences via altered gene expression to pathological changes. We finally discuss the effects of mindfulness-based interventions on these changes. Can the damage be reversed? Stress-induced modulation of physiological processes may account for a group of poorly understood “functional” disorders, commonly labelled as “medically unexplained symptoms”, “functional somatic syndromes”, or “bodily distress syndrome”. In our research clinic, we use mindfulness-based stress reduction to treat patients with these disorders. The beneficial effects of the treatment have received increasing support from empirical studies, which indicate that mindfulness-based therapies mediate neuroplastic changes and changes in physiological stress mechanisms. 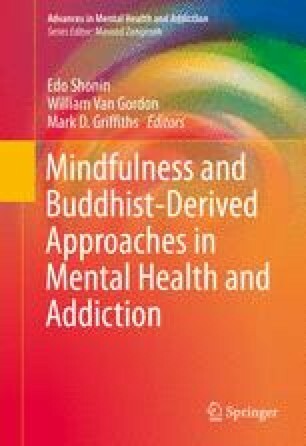 We describe some of the experiences gained and results obtained using mindfulness-based stress reduction in clinical treatment.